We are a family run business with over 25 years experience in the car industry. We have worked in all areas from valeting and repairs to working in main dealerships. Our aim was always to have our own showroom so that we could provide a car buying experience that did not have the many flaws that we have witnessed over the years and we have always had a passion for cars. Every place you go will tell you how great they are and how good their cars are, unfortunately for the most part this is all just talk backed up by nothing. The difference we offer is that there is absolutely no hard sell sales tactics, we simply offer you the opportunity to buy a car that is prepared to the highest standard available. The team including the owner of the business is always on hand to help in any way and explain why we are able to offer such exceptional levels of excellence. We do not just sell cars we work on these cars daily and have done for decades acquiring an expert knowledge of the intricate workings of these vehicles, we are happy to go through the process of how we acquire our vehicles and most importantly can show you the process and procedure of how we prepare our vehicles for sale. Our commitment to excellence is what sets us apart, anyone can show you a shiny good looking car, we can show you not only that, but how great the car is in areas that can not be seen where it matters. Using our advanced technical equipment and superior knowledge we can demonstrate to you that what we say is true. We offer a wide range of cars featuring all makes and models, all cars are carefully selected and prepared to ensure quality. We specialise in German cars and Land Rover, our workshops are fully equipped with main dealer level equipment which enables us to prepare our cars properly with confidence and an unrivalled expertise. We are well known as one of the best German car and Land Rover specialists in the country. We are a family business so families with children are welcome, we are SEN aware and experienced so if you have children with special needs please let us know if you have any special requirements and we will accommodate you in any way we can. 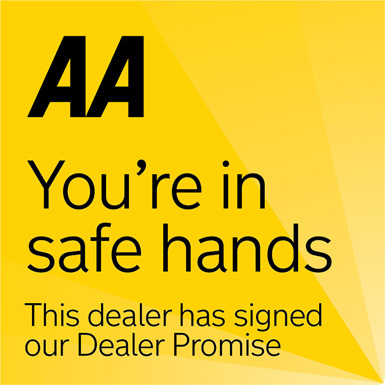 We are FCA approved and fully licenced for peace of mind and we are AA approved so that we can provide AA warranties for extended periods, this is in our opinion the best used car warranty available, that’s why we provide an AA warranty with every retail car. Please google Town Car sales Enfield to check out what people say about their experience with us. Buying a car should be easy and enjoyable for all concerned and it can be. You are welcome to visit any time so we can get you your next car with no hassle and risk free. There are no pushy salesman, female staff if preferred and you can deal directly with the owners if you wish to, giving you an appreciation and understanding of the rigorous process our cars go through. This all means we can provide the best quality car your money can buy. We offer a wide range of services including Used Vehicle Sales, Vehicle Servicing and Part Exchange. We offer Finance facilities to suit you with good or poor credit history. HP or Lease agreements available call for details.